Even given the precipitous decline in both the circulation and the influence of all print media, the New York Times op-ed page remains the most prestigious perch in all of journalism. It’s a mystery, therefore, that it is treated so casually by those in charge of its composition. The Times can hire almost anyone its editor and publisher want, and yet—with a few obvious exceptions—they appear more comfortable settling for mediocre writers and thinkers who merely flatter the prejudices of the politically powerful. 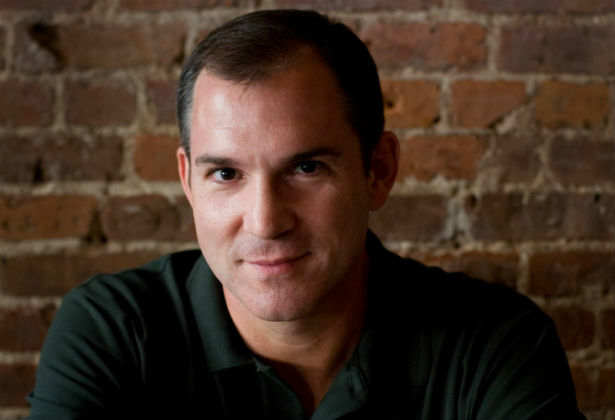 I could make my case with a number of Times columnists, but today’s exhibit is Frank Bruni, who is as clear an example of “failing upward” as can be found in the upper reaches of print journalism. Bush nicknamed Bruni “Panchito” and repeatedly told him he “loved” him and that he was a “good man.” Bruni more than earned this affection. In his front-page coverage of Bush’s first 2000 debate with Al Gore, Bruni complained—I kid you not—of the latter’s correct pronunciation of the names of the combatants in the former Yugoslavia, during which he was, according to Bruni, “barely able to suppress his self-satisfied grin.” Got it: Gore, the showoff pronouncer, did suppress the “self-satisfied grin” that Bruni imagined, but just barely? Later, in his book, Bruni described Bush at that debate as “at best mediocre…vague,” demonstrating “an eerie blankness” and making “ridiculous statements,” all of which led Bruni to conclude “that Bush was in the process of losing the presidency,” though he somehow managed to mention none of this in the Times, when it mattered. A dozen years and one catastrophic Bush presidency later, Bruni remains remarkably enamored of the Bush family’s apparently limitless ability to surpass “limited expectations.” Writing hopefully about a potential Jeb Bush presidential candidacy recently, Bruni admitted that the former Florida governor’s handling of the immigration issue had been a “mess,” but even so, he opined, Jeb had been “a more articulate advocate of a new tone and direction for the Republican Party than have [Rand] Paul, [Ted] Cruz, [Chris] Christie or others currently in the foreground of the 2016 race.” In Bruni’s view, Jeb has managed to do this because he has “rightly emphasized the importance of social mobility to America’s fortunes and has rightly sounded an alarm that such mobility is on the wane,” albeit without proposing any policies that might address it. Bush’s voice “stands out” in this classy company, moreover, as “less strident, more reasonable and more forward-looking than his potential rivals.” Bush has even “registered concern with the way the party can come across as ‘anti-science’”—though, again, Bruni fails to offer even the barest suggestion of what policies a “pro-science” Republican Party might pursue. True, Bloomberg accused de Blasio of running a “class-warfare and racist” campaign. But what do you expect? De Blasio let the people of New York see his biracial family. And, yes, while ”income inequality in New York City has worsened during the Bloomberg years, to an extent that’s morally unacceptable and perhaps socially untenable,” and while the mayor did happen to worship “at the altar of Wall Street” during this period, so what? So did Charles Schumer and Cory Booker, and you don’t see de Blasio being such a meanie about them. This may have something to do with the fact that de Blasio happened to be running to replace Bloomberg, but that’s apparently no excuse. So maybe “more passion about the gap between rich and poor is a virtuous thing,” Bruni allows, but damn it, “making Bloomberg the heavy isn’t.” Has de Blasio no sense of decency after all? Of course, it is perhaps a mistake to blame Bruni for doing what he was presumably hired to do. The real question is, what is the Times telling its readers by allowing him to do so? Nicholas Kristof, also of The New York Times, is still pressing for US military intervention in Syria, as Greg Mitchell reported earlier this week.